The Finance Minister Arun Jaitley had indicated that his upcoming Budget will not resort to “sheer populism” for good ratings, but will focus on structural reforms. Finance Minister Arun Jaitley is going to present the Union Budget for this 2016-17 on February 29. Much before the Budget, there are expectations of various leaders from different sectors about what they think the Government should have in its plan. A major concern for all the industry leaders is the implementation of the Goods and Services Tax (GST). The FM has already hinted last month that the Budget will not be populist – “If you look at the whole structure of the Indian economy, its agriculture sector, particularly in the past two years due to the poor monsoon, has been stressed. You need to put funds in that particular sector. Therefore, there would be targeted subsidy,” he had said in an event in Delhi. He had indicated that his upcoming Budget will not resort to “sheer populism” for good ratings, but will focus on structural reforms. When the President of India, Pranab Mukherjee addressed the Parliament on Tuesday, many expected to get a sneak-peak of what the Budget might offer. Contrary, the address essentially highlighted what the Government had achieved in the last year, and the larger agenda is mainly rural and agricultural. So will the FM deliver what the industry expects him to do? Improving the overall efficiency of the Indian workforce and skilling the still untrained ones can potentially be the biggest boost that the country needs today. The National Skill Development Corporation’s (NSDC) efforts are yet to show significant results yet with just 40% placement record as registered in 2015. Start-ups currently have to claim tax deducted at source (TDS). Many start-ups are generally known to have been making losses in business but still sellers and banks deduct TDS, which affects their liquidity. There should be a mechanism where one gets a generic exemption from everyone. The issues relating to payment of gratuity, provident fund (PF), and contract labor regulations also need to be looked at. Few important things to improve business scenario in the country would be rise in the income tax exemption limit, reduction in company tax, service tax and TDS to some extent to support businesses. There is an immediate need to bring GST to reality, and roll it out as early as possible. This will help reduce the huge stress on businesses for compliance with multiple state tax legislations. An affirmation by the Government that GST on early roll-out, along with indicative transition steps would help reinforce positive sentiments. A clear roadmap should be given for reduction in corporate tax rate from 30% to 25% in the Budget. This move will help in boosting business. Apart from this, as part of the auto component sector, we look forward to the government’s support to achieve $200 billion in turnover as outlined in the Automotive Mission Plan 2026 – a collective vision of the Government of India and the Indian Automotive Industry. Reduction of service tax for start-ups doing business and Income Tax exemption overall; In the current stage, it may not help start-ups too much especially in the build-up phase as most start-ups either lose money or make very little profits. While Relaxation on capital gains for funds is a welcome change, greater clarity is awaited. The Government should ensure that start-up founders also get some advantage of capital tax exemptions – so that more people start up, and it becomes easier for investment! All companies involved in Skill Development should be exempted from Income Tax or Service Tax. There should be no TDS (Tax deducted at Source) on payments made by Government. Currently the government. makes payment only after TDS, which leads to shortage of cash flow in managing operations. 200% tax benefits should be given to companies spending on CSR in order to further incentivize them. Transparency in funds spent by large industries on skills training to be made mandatory by the government. Exempt from tax, income spent by individuals on enhancing their skill base. Tax benefits should be given to companies spending their CSR funds only in the skilling sector Service tax exemptions on all Skill projects. One would expect that this year’s Budget would increase the outlay in higher education to enable creation of educational infrastructure suited to the needs of the industry, R&D and other sectors for educated and technology-savvy talent. The higher education budget in the last few years placed greater emphasis on establishing new IIMs. 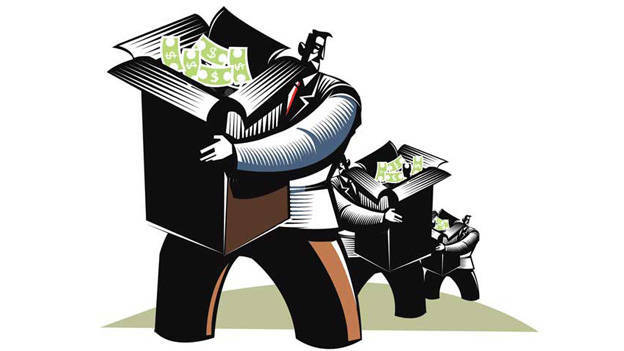 However, it is hoped that this year’s budget doesn’t announce yet another set of IIMs to be opened. While the IIM brand is indeed valuable, opening a plethora of new IIMs without adequate campus and educational facilities, quality faculty and social infrastructure around the new campuses may not alone yield significant results. One should expect that the Budget will also allow greater leeway to the private sector to expand its capacity to provide quality higher and management education to the needy segments of the society. The key aspects of improvements required in the human resource (HR) aspects include creation of jobs, skills development, career centres, labour laws and ease of doing business, among others for growth and development in India. With various initiatives led by government like Make in India, Digital India, Skill India, Start-up India, and stand up India which are designed to facilitate investment, foster innovation, enhance skill development, protect intellectual property and build best in class manufacturing infrastructure. India has a complex labour law structure with approximately 44 central and 100 state laws that are expected to regulate the labour landscape. Being archaic and having loop holes, many of these laws are biased towards the working population. In order to make “Make in India” a success, the government needs to look into it.